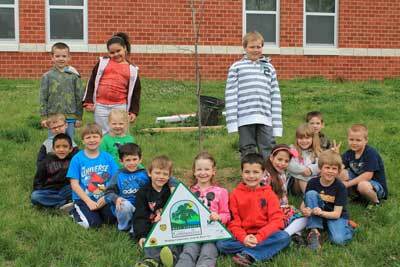 The Blue Ridge Watershed Coalition (BRWC) planted 12 shade trees at Blue Ridge Primary School in Jefferson County, WV. 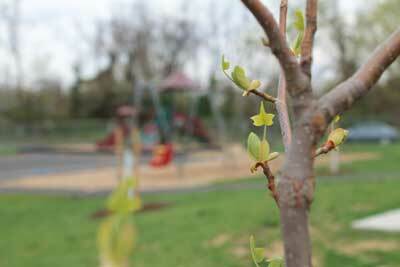 BRWC volunteers picked up the trees and augured the holes with a hand-held augur on April 13th, 2013. The auger took about a minute to dig a hole that could take maybe 10 to 15 minutes to dig with a shovel, which allowed the volunteer group to finish prepping the site (digging the tree holes) in just two hours with the auger. 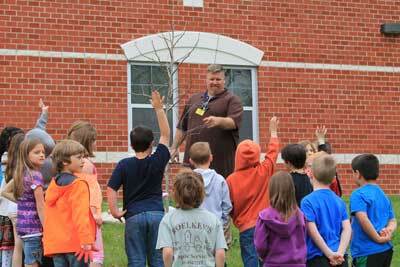 The tree planting took place April 15 and the weather was perfect, no rain and the temperature was in the mid 70's. 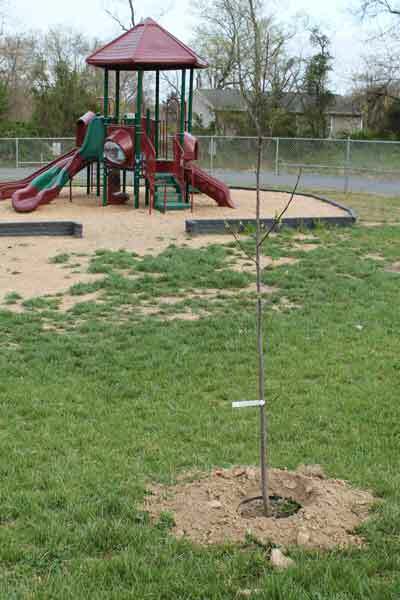 The 12 shade trees were planted in the rear playground area at the Blue Ridge Primary school. 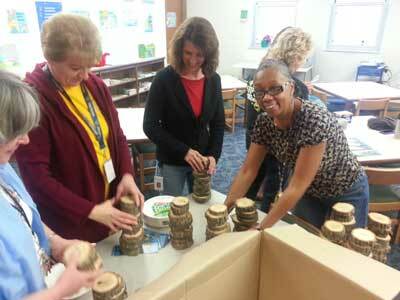 There were 173 students with 15 parents/teachers who took part with the actual planting. 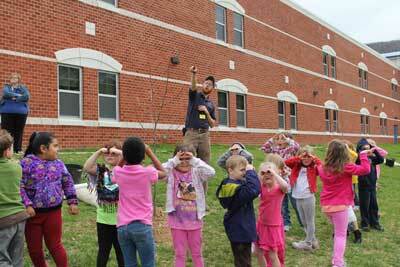 The students, who were all in either Kindergarten or First grade, came out in groups of about 25. 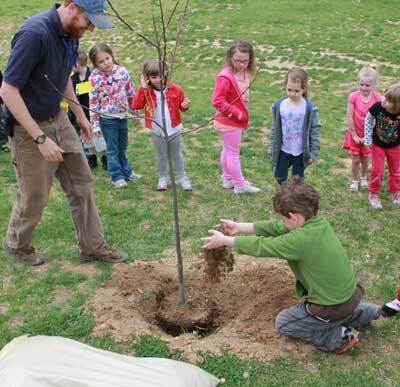 Part of the time they spent was education concerning the benefits of trees, how to plant trees, and what trees do to make their school better. 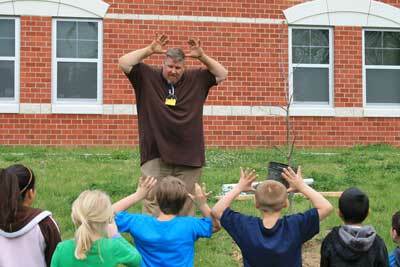 The students then took turns filling the tree holes and placing mulch at the conclusion of the lecture. The children were very energetic and loved the tree planting. 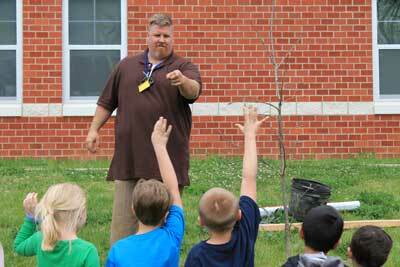 BRWC’s CTree Liaison, Tanner Haid of Cacapon Institute, led educational activities with the students and was especially good in speaking to the students. 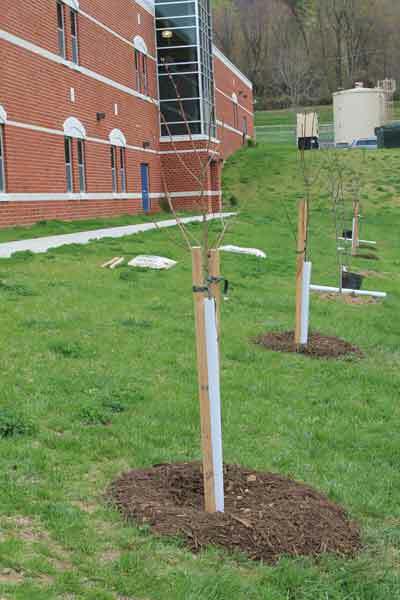 The trees are now being monitored and maintained by the Blue Ridge Primary staff, Blue Ridge Primary PTO, and by the BRWC.